There is once again an urgency in asking the question: What can we as the church do in terms of mission and ministry? I’m aware that some churches have carved out a faithful and fruitful ministry with older people, while others have started the journey but are finding it a steep learning curve. In this blog, I hope to offer some encouragement as you explore or continue your own mission and ministry journey. The context of your ministry may be very different to mine, but hopefully through explaining the heart of my ideas, and exploring particular situations, I may help to contribute to your own vision of ministry and mission. I am a Territorial Envoy in The Salvation Army, appointed as Community Chaplain of Liverpool. This is very much an organic ministry; the seeds of which were sown some 15 years ago. At present, my ministry in the community is wide and varied. It includes two local authority hubs who offer intermediate care and day care, including a specialist dementia support unit. Two sheltered housing schemes, one run by a local social housing care trust, the other by a specialist older persons housing group. More recently, I have started a senior prayer group with the support of one of our local churches. I am also working on a project with an independent social care provider in South Liverpool. Because of the number of years that I have been active in the local community, my ministry consists of a strong element of pastoral care, visitation, pastoral support, funerals and so much more! We have a strong network of churches standing together in our local community and over the years, I have greatly appreciated their support. Some of my community worship with seniors is shared with our local Anglican churches. This works well for all involved. What motivates our desire to commence this particular kind of community ministry? 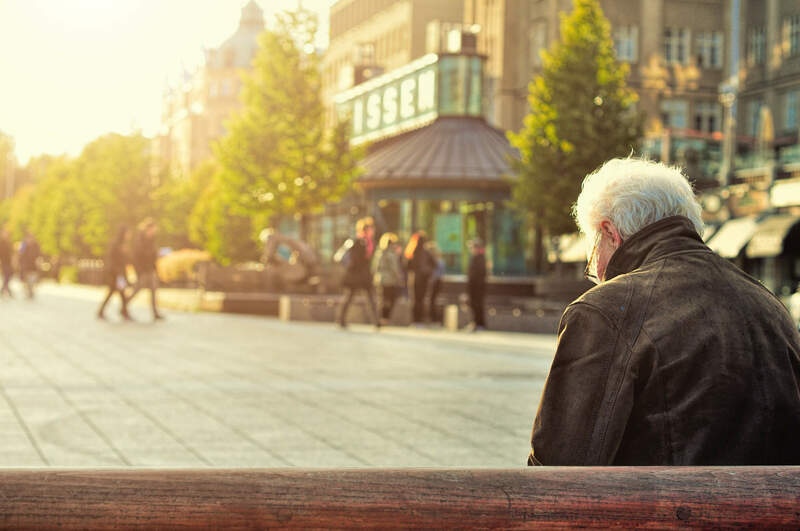 Perhaps a member of your congregation has gone into a local care home, or you may feel that there is a particular need in your local community. As you listen to the news and find that the challenge of ageing has once more hit the headlines, you may have decided to put the question of ministering to ageing generations on your own church mission agenda. For a number of years, I worked with young people as a local officer in The Salvation Army. As time went by I felt that the focus of my work should be at the other end of the age scale. This was something that I left in God’s hands. I went to visit an elderly friend who had not long started to attend a local day care centre. She astounded me by telling me that she felt that God had a work for me to do there, a Sunday service would be good, and that she had prepared the way for me by talking to the managers. This simple visit with a bunch of flowers, and an offer to help this very frail lady, changed the course of my life! Nobody is too old to be a disciple of Jesus, time and time again I have seen people flourish in simple but effective ways as they, themselves, reach out in Jesus name to others. I made the decision that before I commenced any form of worship at the day centre, I would take the opportunity to get to know the members, including the staff, whose support I would need in the long term. Over tea and biscuits, I got to know people. Some shared their faith stories, some talked about their families, others about their working lives. I made the decision that our worship would be influenced by the experience of its participant’s life journeys. After consultation with both the members and the staff we decided which room would be best to use for worship. We were ready to begin. Sunday morning worship at the day centre was a learning curve for all of us. An ability to learn from changing situations and needs is the hallmark of doing church in community with all age groups, and working with seniors is no exception to that rule. I was conscious in those early days that no one should be put under any pressure to attend worship, I would be happy working with a small group. However, lots of people took the opportunity to come along and we represented a number of denominations, in reality, I had a very mixed group. This was a strength right from the start as we learnt from each other in a caring environment of worship. ministry with older people in church and community, discuss it with your church leaders and members, if there is a particular community that you feel God is calling you to then pray for that place. When the time is right, arrange a visit to discuss and consider what you are able to offer. Chat to the residents/service users or members, get to know people; make friends! We know that staff are very busy, but not only do we need their support, but in my experience, they are often keen to support and enable ministry to take place. Staff also have their own pastoral and spiritual needs. Over many years I have had the opportunity to talk with and offer prayer to staff and their families. It has always been appreciated. There are wonderful opportunities for churches to do mission in fellowship with older people, whether at one location or as part of a network.